Elizabeth Maxwell Unleashes Urbosa’s Fury on The Champions’ Cast – Episode 3! This week, Savannah gets stuck working overtime, so the boys have to find a replacement. Luckily, they stumble across a pretty stellar guest co-host: the one and only Elizabeth Maxwell! Elizabeth joins the Cast this week to talk about her experience voicing Urbosa, working with Nintendo, and how she set out on her path to voice acting. Luckily for Taylor and I though, she’s not only a super talented actress, but a geek after our own hearts, so we also get nerdy talking old school RPG’s, our Netflix binge watching list, fantasy novels, exchange pictures of our cats, and so much more! We want to give a huge shout out to Elizabeth for coming on the show, and make sure you check this episode out (after all, she’s a voice actress, she sounds great!)! 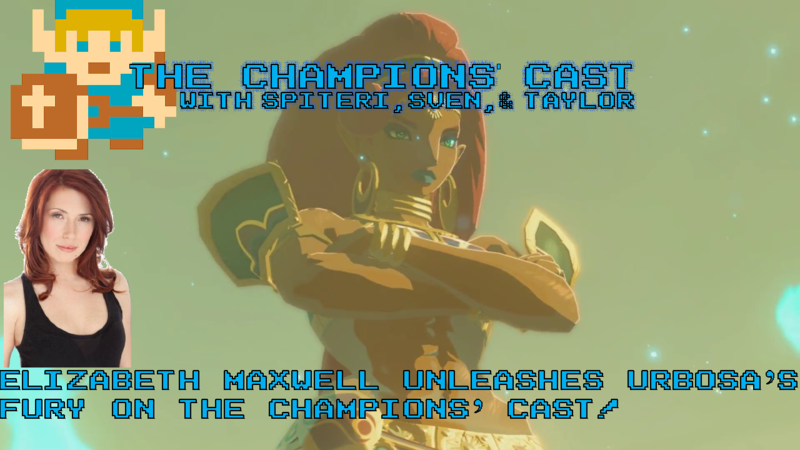 Make sure to subscribe and follow The Champions’ Cast on Podbean and iTunes for more Zelda goodness!